Hello Beauties! I hope you're all well and heading back to work this morning wasn't too much of a struggle! This weekend one of my best friends, Frankie, visited and we headed to the Selfridges beauty hall. It's been a plan of ours since were were at University, that when we both had paying jobs we'd plan a day out shopping on Oxford street and spend a few hours browsing the counters in the Selfridges beauty hall. 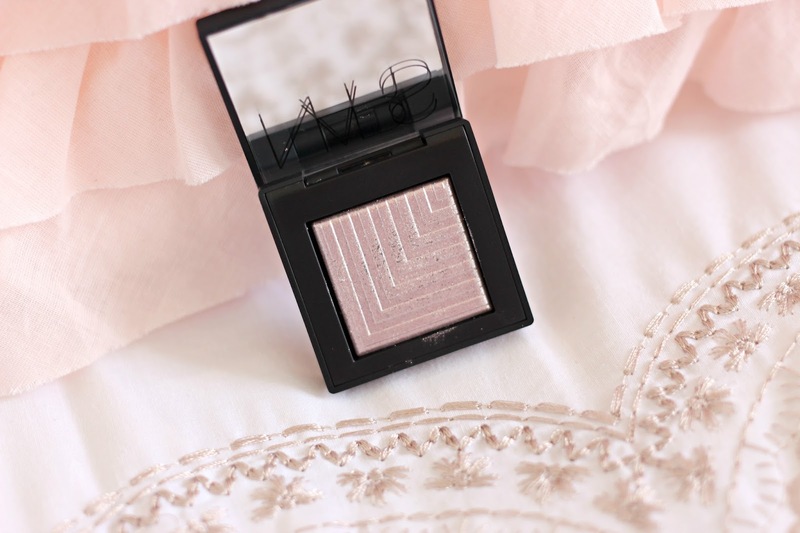 Of course while I was there I couldn't resist picking up a few bits, and one thing I'd had my eye on for months and months was the Nars Dual Intensity Eyeshadows. As these are pretty pricey at £21 a pop, I spent a fair bit of time swatching all of the shades before deciding on Callisto, as it was such a unique colour. Callisto is described as an 'icy pink silver', however I'd say its more of a metallic taupe with subtle cool undertones and hints of lilac running through. As I said, it's a very unique colour and unlike anything in my collection so although I think I paid over the odds for such a small eyeshadow, it was worth it in my opinion. 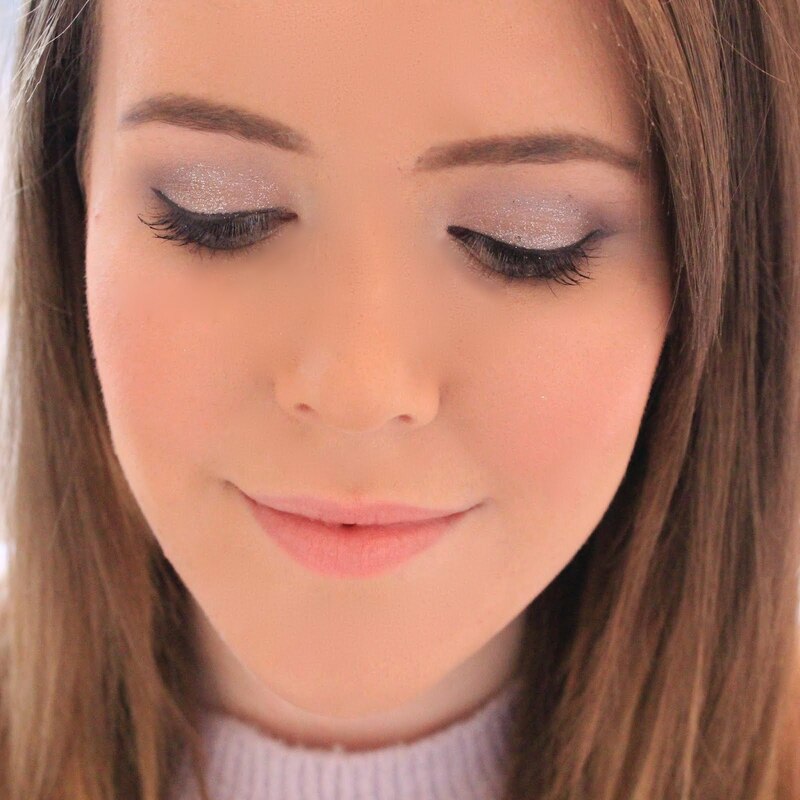 I normally like to create a whole eyeshadow look using two or three eyeshadows at least, but I find with a colour so unique and beautifully metallic, that it's the only shade I need...a 'one wash wonder' if you will. After speaking with the kind makeup artist at the Nars counter, I learned that the dual intensity eyeshadows can be applied either wet or dry, for two completely different looks. Applied dry, Callisto was a semi-sheer wash of colour, giving a beautiful metallic sheen to the eyes which makes for a pretty day look. When the eyeshadow was applied wet with a dampened brush (I used setting spray to do this instead of water for longer wear), the colour was almost completely opaque and lasted for a good eight hours. Overall, I'm completely in love with this eyeshadow from Nars and I'll definitely be adding more to my collection - it makes my everyday eye makeup simple and easy, but with beautiful results, and the unique colour of Callisto is something I've yet to be seen produced by another brand. Although these little shadows are pretty pricey and I've read a lot of comments about these being easily duped, I'm still to see a dupe as pretty as the originals, which in my opinion makes these worth every dime. The Nars Dual Intensity Eyeshadows are currently available from Selfridges here for £21.00. Beautiful shade! And I can almost FEEL the smoothness of it!